Negative energy brings bad luck in one’s life. Negative energy creates a lot of problems in different aspects of the life of a person like relationships, money matters, and health issues and so on. Negative energy can affecteveryone in their life at some point in time. Negative energy creates huge setback effect in one’s life. Whatever ones effort and plan it gets stopped and affected very deeply and one cannot grow and proliferate. Every work stops and can’t see any sign ofgrowth. You will always travel towards success but never reach any destination. You fall again and again. That means you are affected by strong Negative Energy. Evil Eye, black magic, Witchcraft and all lead to Negative energy in one’s life. Human beings are a combination of emotional, spiritual, Physical and Mental forms. Negative energy in a person can affect in any human form and may result in a bad temper, jealousy, anger, depression, pessimism and anxiety and so on. Hence the negative energy in a person’s mind and body must be removed immediately. Negative energy makes us behave very wicked. Then negativity increases in life. For some people, negative emotions can change a person very deceitful and they can even plan for witchcraft or Black Magic. Negative energy not only occupies a person’s mind, sometimes it occupies a place. Then the whole place such as a building is engulfed with negative energy. Anyone getting in touch with the place would get affected with its gloominess and all his further actions in that place will have its impact. Keeping all these things in mind Negative energy removal is very important for a person and for a place. If Negative energy affects children then the elders must be very attentive and must take an immediate step. Children will face a lot of troubles such as setback in studies, sicknessand so on. Negative energy removal can be done astrologically. Negative energy removal is a spiritual work. Our Pandit Ramdial is good at negative energy removal and thousands of people have approached him with the problem and have cleared the negative energy. Because negative energy will not allow prosperity, growth, and success.If your enemy has vengeance and jealousy towards you then they can perform even witchcraft. Witchcraft and black magic is the highest negative energy a person can pass on to someone. One needs expert support to remove black magic and witchcraft effect.  Pandit Ramdial is expert in removing negative energy due to Black magic and witchcraft as well. He can spells upon you to remove negative energy from you. He can also perform pujas to remove negative energy from a place. 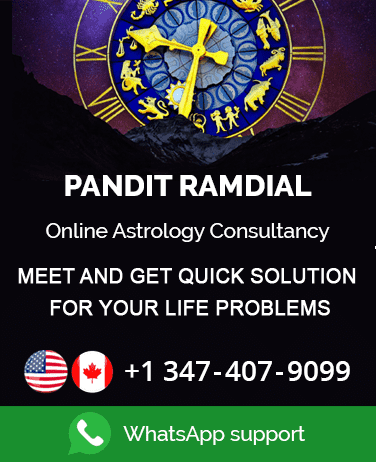 If you come across such a situation in some once life or your loved one's life you can contact Pandit Ramdial for Negative Energy Removal and be blessed with Good luck. He is good at these type of services and makes one free from all these negative forces. You can help someone you know, in living a better positive life just by sharing the information about out great Pandit Ramdial.